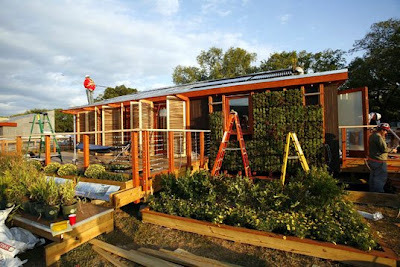 University of Maryland’s Leaf House is the second winner of solar decathlon, which is, as the name would imply, green, naturally inspired, and modular to boot. 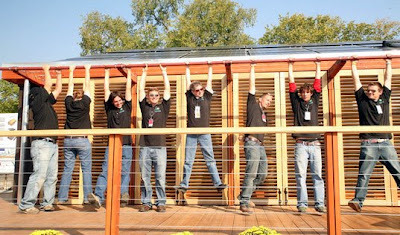 When designing the zero energy home, the student team drew inspiration from the simple, yet vastly complex leaf. 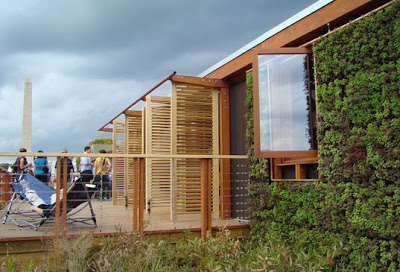 The abode boasts every sustainable system from the obvious high-tech solar panels to a liquid desiccant waterfall to control humidity, grey water recycling, green wall, and even a plug to charge an electric car. 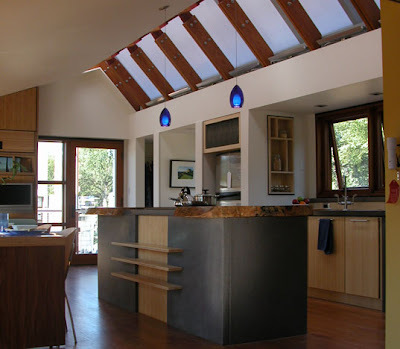 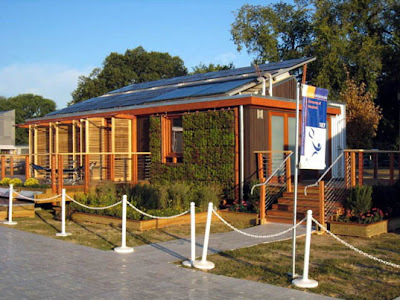 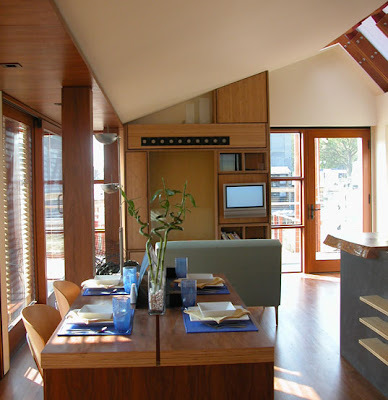 University of Maryland Placed fourth in 2002, and won the People’s Choice Award in 2005, and this year the gorgeous green home took second place in the Solar Decathlon Competition.